Twitter is a great place to socialize and catch news as it breaks. With over 320 million monthly active users, Twitter is also an ideal place to market your products and services, especially if you’re a young living member. Perhaps you’re already saying, “Wow, 320 million? That’s a hell lot of potential customers!” Well, you’re right, but they don’t convert that easily. Having a Twitter presence is one thing, and turning your presence into a lead generation and conversion machine is another. Starting to lose the excitement? Don’t worry! We’re sharing the various strategies you can deploy make Twitter your number #1 platform to market therapeutic essential oils. Of course, to use Twitter in your marketing strategy you must be on it. Start by creating an account for your products. Here, it’s essential to get the name spot in. Although you can create a personal account and use it to market your essential oils, this strategy is better left to social influencers. You stand a solid chance of earning big on Twitter if you create an account that’s dedicated to your business. Next, upload a profile – preferably of you holding sample samples of your therapeutic essential oils or just your essential oils. The former works best because it tells potential customers there is a human face behind the products. At his point, you’re ready to send out your first tweet and start getting followed. You also have the freedom to follow other users. Now, you need to be careful with who you follow on Twitter. It’s no advisable to follow your direct competitors since they can easily copy your marketing tactics. From the fact that Twitter only always users to compose messages (tweets) that are only 140 characters long, it’s easy to think you can get away with being sketchy. Create compelling tweets is the only way to develop an authoritative voice and attract more followers. It will also increase user engagement. The big question is, how do you create punchy tweets? You really have to be creative! For example, you can tweet a fact: “Did you know therapeutic essential oils can reduce cellulite and wrinkles?” You can then include a link to where this information is explained in detail, most preferably your essential oils website! You probably already know video is the future of digital marketing. Facebook and Snapchat are pulling in billions of visual viewers every day. Video is also big on Twitter. In the last quarter of 2016, for instance, ad engagement increased 151 percent, largely because of visual content. To have one leg up over your competition on Twitter, include visuals in your content strategy. GIFs are particularly interesting to most users. Sites like Giphy have a large collection of GIFs you can use to promote your therapeutic essential oils. If you’re afraid using Giphy GIFs will make you look unauthentic, there are free online GIF makers you can use to make your own GIFs. Besides GIFs, create short informative videos of your products and share them with your followers. Lastly, consider doing live videos. This is a perfect opportunity to interact with your followers in real time. Before going live, ask your followers to tweet your there questions, which you will later issue responses. As a new Twitter user with a handful of followers, getting your message out to a large audience can be quite the challenge. So, how do you overcome this? Simple. Hashtags! By creating a hashtag, you’re able to read tweets from all the users who will use the hashtag, even if they don’t tweet you directly. You can also jump on other people/organization’s hashtags, as long as they are relevant to your industry. For example, if the National Association of Aromatherapy sends out and tweet and attaches a hashtag like #essentialoiltherapy, you can also craft your tweets and include the same hashtag. Most of the users who will follow the hashtag will likely see your tweet, and if it grabs their attention, they could feel compelled to check out your page. This is the first step of lead generation. Once on your page, they’ll naturally skim through your recent tweets. If they find quality, informative and engaging content, they will hit the follow button! Next, they’ll want to check out your young living products. See why it’s very important to deliver quality content on Twitter? In late 2015, Twitter launched Twitter Polls, a handy feature that makes the platform even more useful to young living distributors. Picture this: There are several types of young living oils, and it’s hard to know what types your potential customer will love. How do you go around it? Thanks to Twitter Polls, you can now survey your audience on various relevant issues. All you have to do is to compose a tweet, select the “add poll” option, add two to four choices, select the length of the poll and then publish the tweet. Use the information you gather to strengthen your young living business. If the vast majority of your audience likes a certain therapeutic essential oil, ensure you always have it in stock ready to ship. Social media thrives on engagement. To run an effective marketing campaign on Twitter, you have to engage your audience. Don’t ignore tweets sent to you because they’re not relevant to your products. This will make your followers think you’re only after making sales. 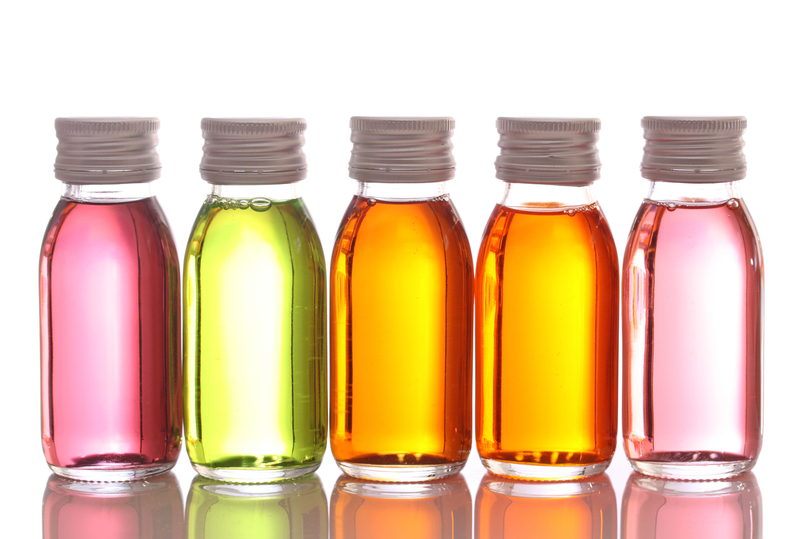 Beyond replying to tweets and direct messages, be sure to retweet interesting tweets by thought leaders in the essential oils industry. It’s Time to Promote Therapeutic Essential Oils on Twitter! Evidently, there is a lot more to Twitter than the bird and the tweets. Young living distributors can also use it spread the word on therapeutic essential oils to potential customers and make more sales. Your job now is to put these tips into good use. And once the bird starts sending customers your way, don’t forget to come and share your experience with us. We’d love to hear your success story!